Do we need to mention the fact that I will turn 32 in 21 days? No, i do not think that we do need to mention that. And, yes, I am aware that my blog bio STILL says that I am 27. No, I do not want to change that. We are good, just let it be. Anyways, as I continue to (somehow, all the time) get older, I am really starting to notice some changes in my skin. It's rough, this aging crap, and it is really starting to get me down. The dark circles, the random acne breakouts like I am 13 years old, the weird age lines or random chin hairs. Come on, this really isn't fair, and what did I do to deserve this? Okay, maybe it was all those times I went to the pool with no sunscreen, or slept in my makeup, or how I continue to eat like a college frat boy every single day. Hmm, come to think of it, it might be time to try to do something about this! 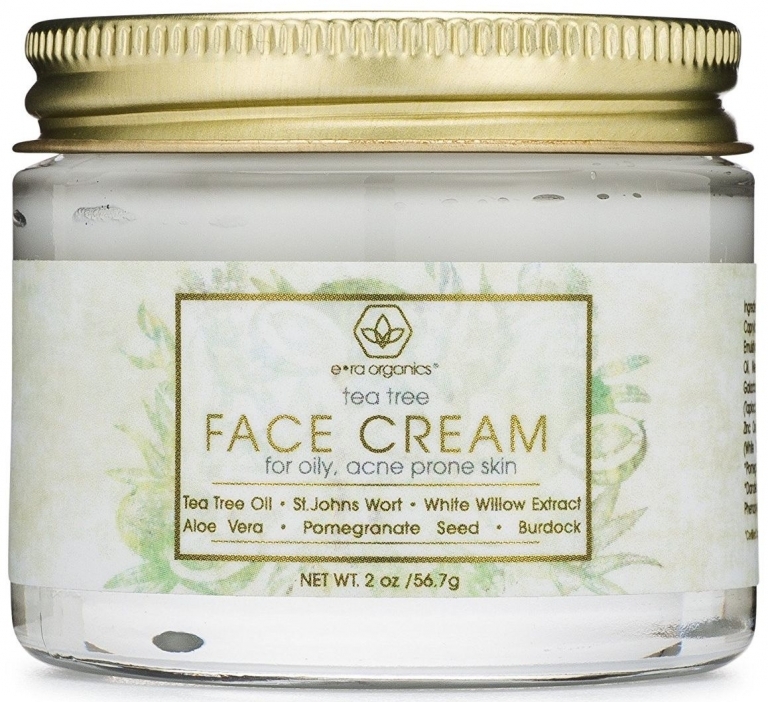 I recently received some products from Era Organics to check out and try to help my horrible mom skin. I was really excited to try these, as Era Organics uses, well, all organic ingredients to make it's skin care products. My face is probably going to write me a thank you note after 31.99 years of using horrible chemicals on it. I received the Tea Tree Oil Cleanser, which I have really enjoyed. The cleanser includes natural ingredients like, obviously tea tree oil, but also things like aloe vera, St. John's Wort, and Dandelion Root. It is so refreshing to use something like this on my skin, and feels very soothing every time I use it. This is a great product and I have really enjoyed the fact that it is good for all skin types, conditions and issues, so no matter what my crazy skin is doing, I can use this product. I am not sure if I am noticing a difference yet or if it is all in my head, but I love the way my skin feels after using this product, and that is what matters! I also received the Tea Tree Oil Cream. This is a great cream which is useful for breakouts, and acne prone, oily skin. I have been letting my teens use this as well, as they are right in breakout city these days! 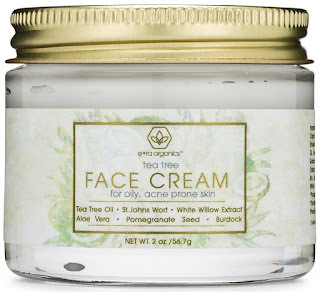 Just like the cleanser, this cream is soothing and refreshing, and I really do think it has been making a difference in the acne cycles of my kids (and me!). 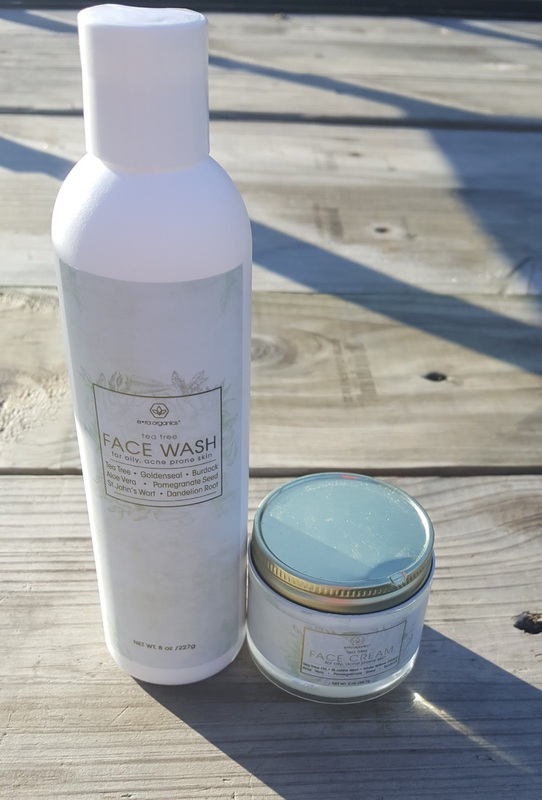 It only takes a small amount to cover your whole face, and the kids have been using it at night after they shower, and I have to say I am really impressed with the results. I am really happy with both of these products that I have been blessed enough to review from Era Organics. This is a great company that offers tons of products that are safe for the whole family. I love the fact that they even have baby products! So exciting! If you are looking for a new skin care regimen for you or for any members of your family, I would advise you to check out Era Organics, as I have been very impressed with them!